All of us have some sort of a hobby, be it reading, sports, gardening and so on... Some of these hobbies have scope to be pursued seriously as a career. However, for a full –fledged career, one needs to develop expertise in it. Here let us discuss about an adventurous hobby which can be a part of enjoyment as well as good career choice. i.e a career in an adventure sport. Career in adventure sports is a broad and generalized term. Adventure sports may be divided into three types broadly – Air Sports, Land Sports and Water Sports. Air Sports: Bungee Jumping, Paragliding, Sky Diving, Sky Surfing etc. Land Sports: Rock Climbing, Skateboarding, Mountain Biking, Skiing, Snowboarding, Trekking, Adventure Racing, Land and Ice Yachting etc. Water Sports: Scuba Diving, White Water Rafting, Kayaking, Canoeing, Cliff Diving, Snorkeling, Yacht Racing, Powerboat Racing, Wind Surfing etc. This is mostly a male dominated career field as the work necessitate to spend a lot of time away from home, in remote locations. But today more women are coming forward to participate in adventure sports. To promote interests of women, schools like 'Indian Institute of Skiing & Mountaineering, Gulmarg', has started courses exclusively for women. Talking about personal attributes, main trait required for a career in Adventure Sports is physical and mental fitness along with sporting spirit. Also required is team spirit and leadership qualities, high levels of responsibility and a strong sense of commitment. To secure employment in this field, certification from any Adventure sport institute is enough. Proficiency in swimming is mandatory for water based sports. For getting jobs in Excursion agencies and Holiday resorts proficiency in any foreign language is necessary as the candidate might have to deal with tourists from across the world. There are lot of courses available for both beginners and experienced sports people. Institutes like Himalayan Mountaineering Institute and Nehru Institute Of Mountaineering offers Basic mountaineering, Advance mountaineering courses which are of 28 days duration. National Institute of Water Sports, Atal Bihari Vajpayee Institute of Mountaineering and Allied Sports, Jawahar Institute of Mountaineering and Winter Sports are the other prominent institutes that offer courses in various adventure sports. There are a number of career options to choose from, one can either specialise in one particular sport or a number of them. These specialists may work as free lancers or may be recruited by specific agencies. Career options in adventure sports sector can be as Adventure Sports Instructor, Adventure Sports Athlete, Outbound Training Facilitator & Trainer, Adventure Sports Photographer, Adventure Tourism Facilitator, Adventure Camp Counselor, Extreme Sports Specialist, Water and Aero Sports Specialist, Trekking & Mountain Guide, Adventure Tour Guide and so on. Opportunities for adventure sports professionals exist in Excursion agencies, Holiday resorts, leisure camps and commercial recreation centers, Sports centers and athletic clubs. You can set up your own adventure sports centre offering services and impart training in your area of specialization. They can work as instructors to teach students in institutes. Another option is to work in a training organization specializing in outdoor training. 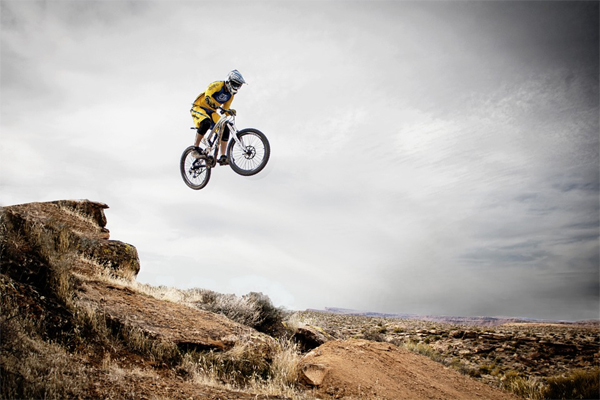 One can also opt Adventure Sports Photography as a career. Sports like mountaineering and trekking are considered more lucrative since they attract the maximum number of foreign tourists. An adventure sports instructor can expect a pay package starting at Rs. 9000 - 10,000 per month. This can go up to Rs. 20,000 - 25,000 per month depending on what sport the instructor is dealing with. An experienced professional can earn between Rs 600 -1500 per day. Offers Basic mountaineering course, Advance mountaineering course which are of 28 days duration. It also offers special courses for females. Offers Basic mountaineering course, Advance mountaineering course which are of 28 days duration. It also offers courses like special rescue training, specila mountain Guide course, sport climbing etc. of few days. Offers courses in skiing, trekking, water skiing, parasailing, mountaineering ballooning etc. Offers Mountaineering Courses, Adventure Courses, Aero Sports, Water Sports, Rescue Courses and Skiing Courses. Directorate of Mountaineering and Allied Sports conducts adventure activities for Indian participants and Foreign participants separately. In addition to following courses, the DMAS also conducts special activities mentioned below.-Mountaineering Expeditions, Mountaineering Courses, White Water Rafting Expeditions, Summer Skiing Courses/ Camps. Courses offered : Skiing & Outbound Adventure including trekking, camping, river crossing, rock climbing, rappelling. 8-B, Bahadur Shah Zafar Marg, New Delhi 110002. Offers courses in windsurfing, water skiing, kayaking, river rafting, diving etc.